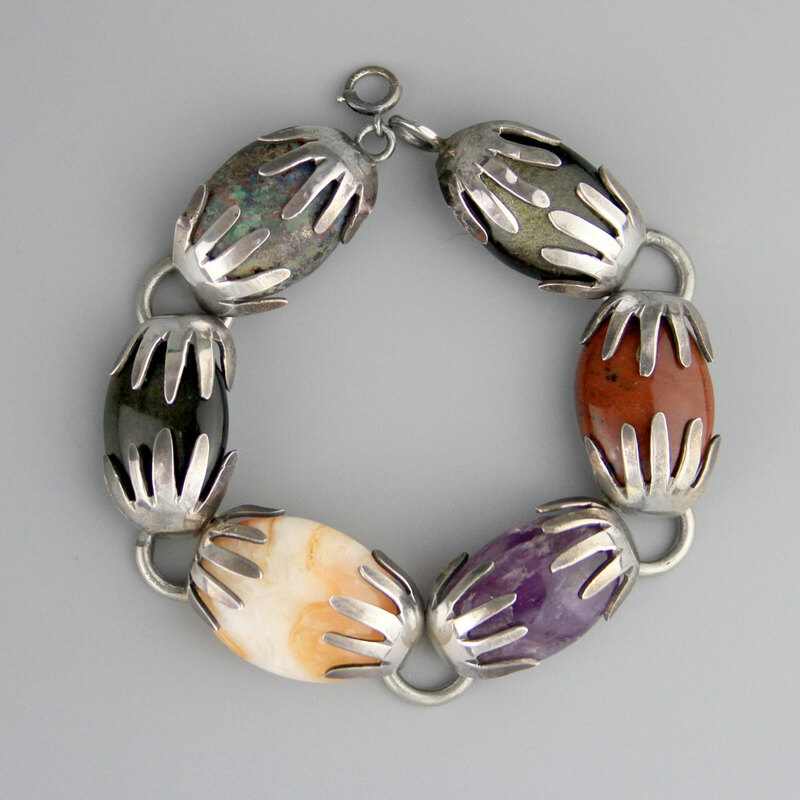 Beautiful handmade in Mexico bracelet. 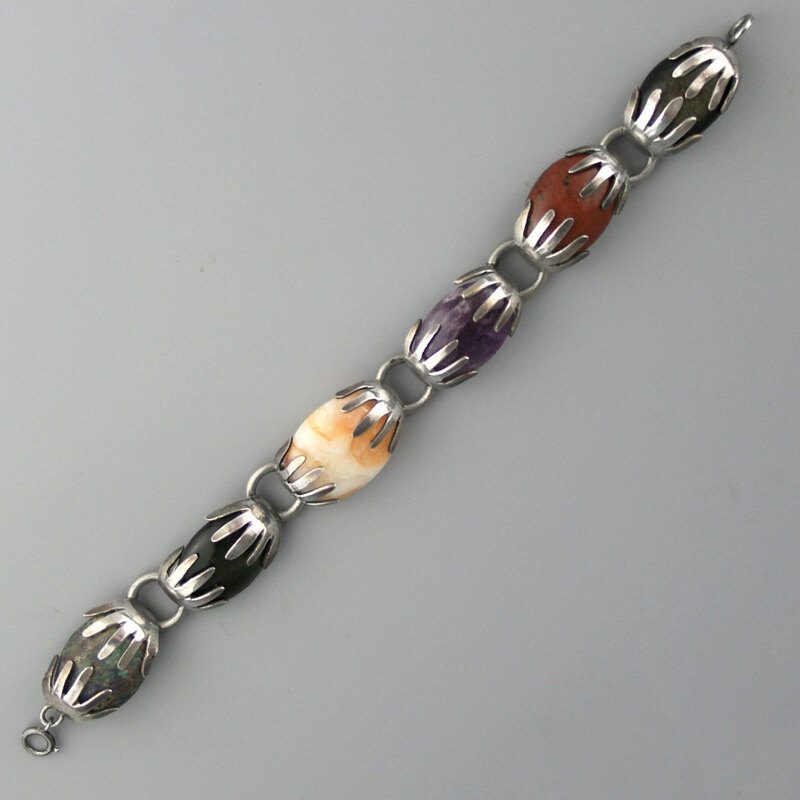 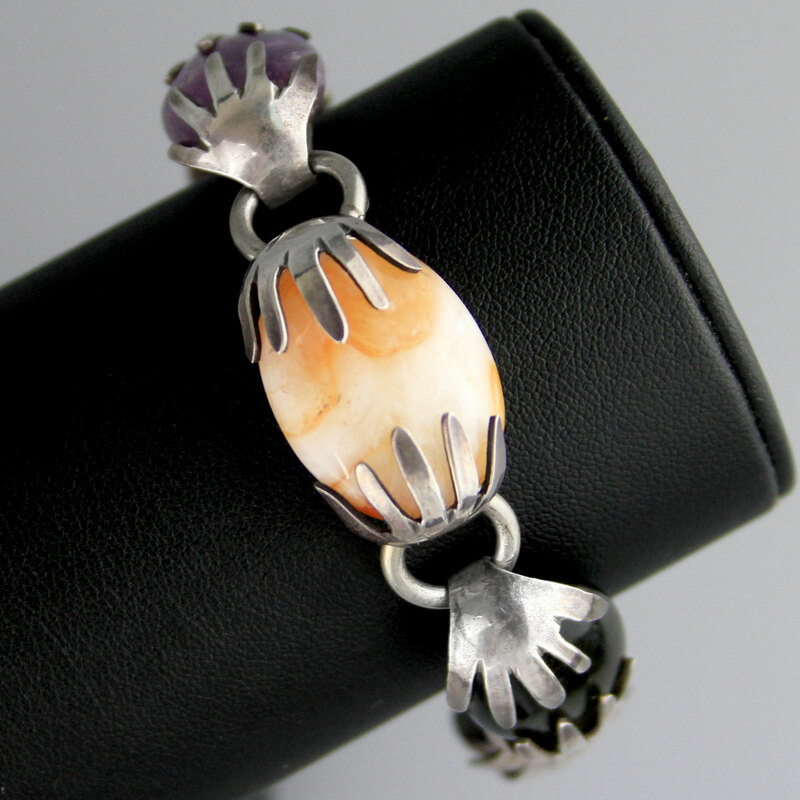 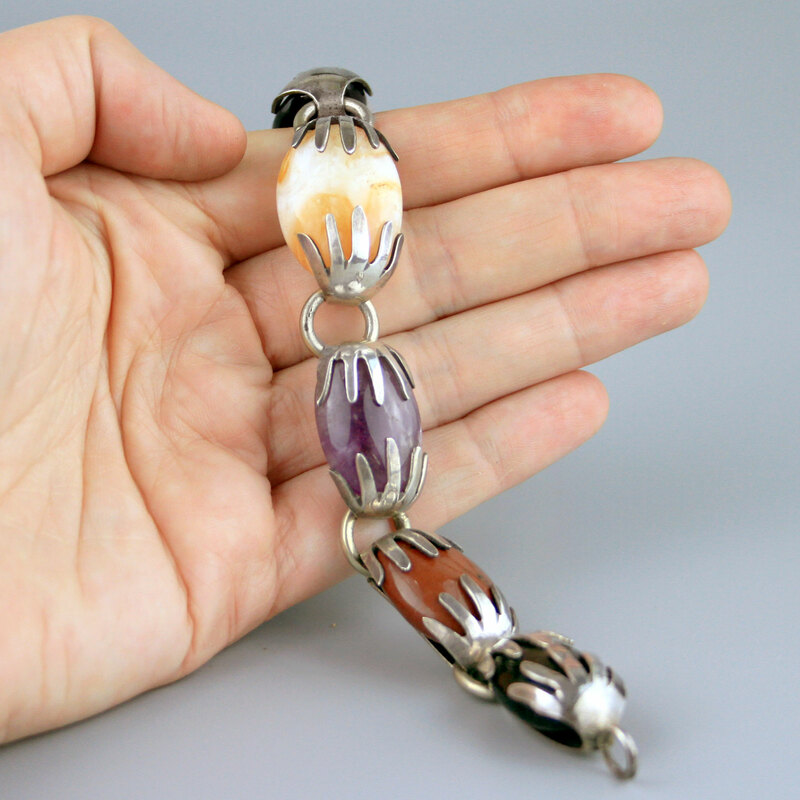 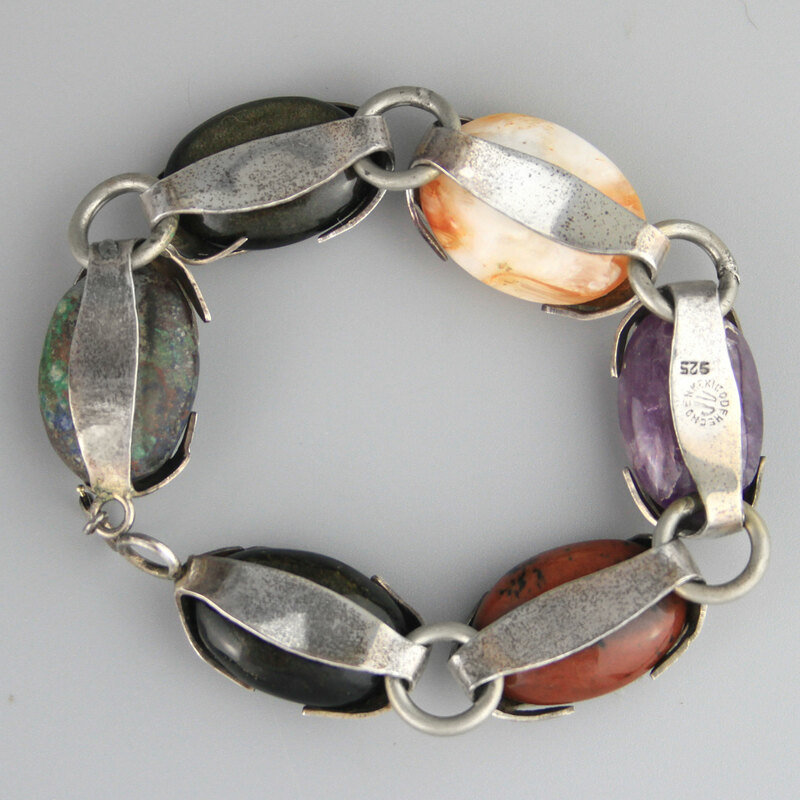 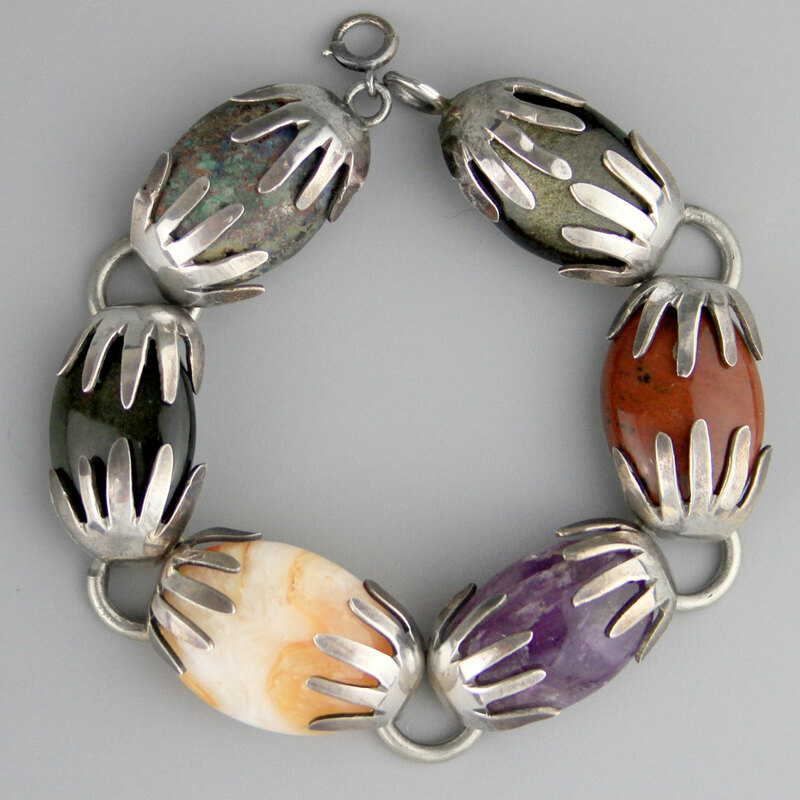 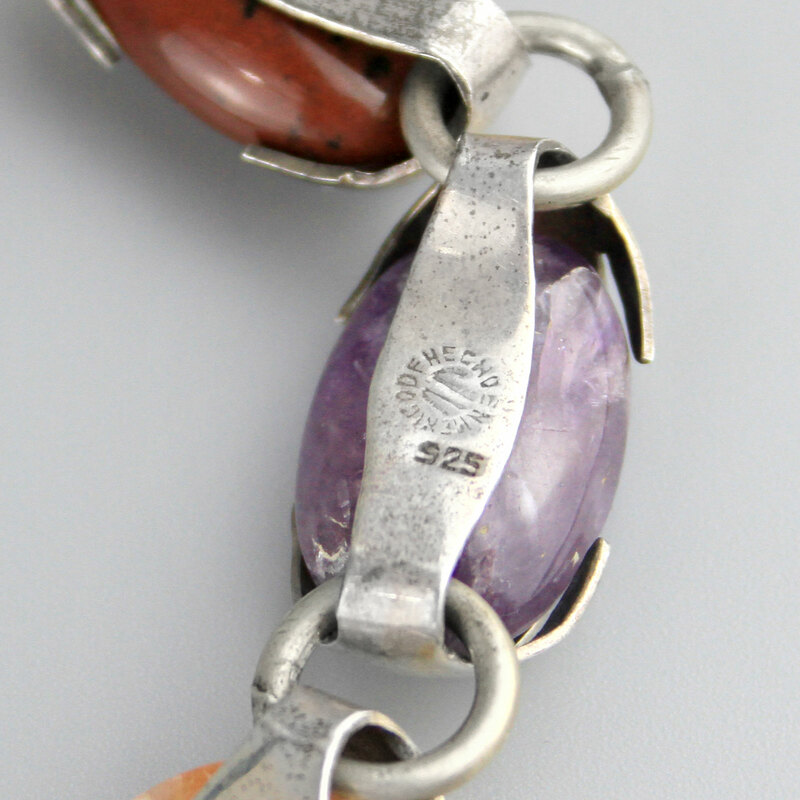 Mid-century design, possibly late 1940's, six links of jube-like gemstones in a sterling prong setting, a nice gauge of silver, polished pieces of agate, amethyst, obsidian (sheen and mahogany) and an unpolished piece of azurite. 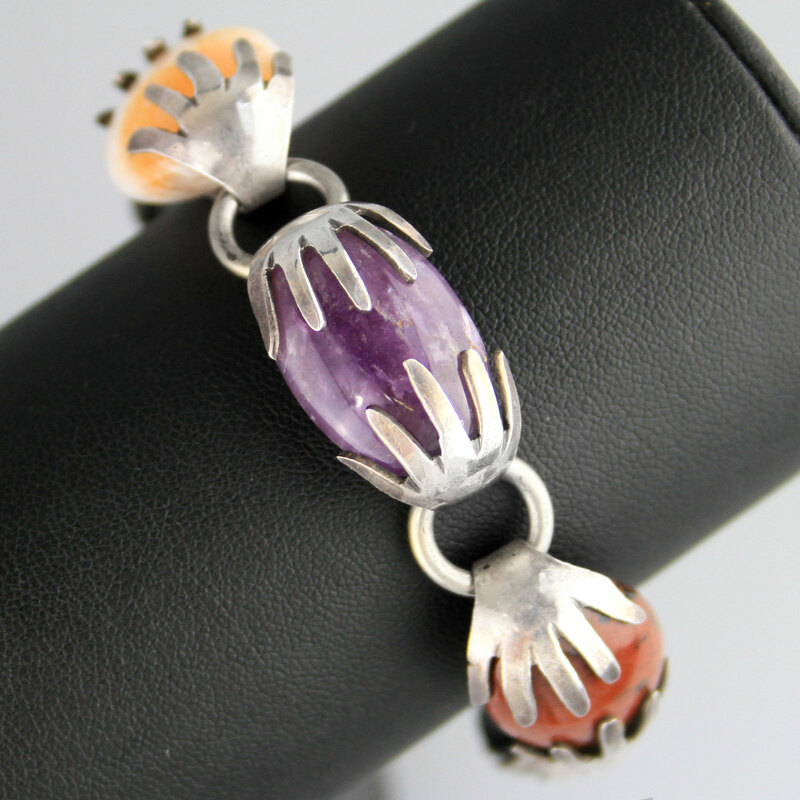 Simple small clasp, lovely colours and beautiful mid-century design.